You are not sitting in front of your laptop all the day? Or you have a hectic work schedule, or just want to complete some things in advance? No problem. 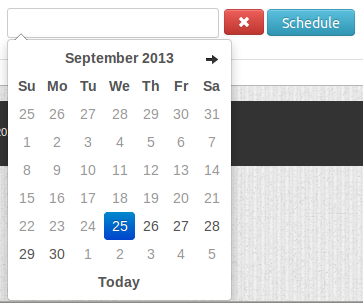 With Pagerider you can schedule your Facebook Posts. Easy, simple and totally free. Here you can find all the pages you administer. Click the page where you would like to post. You can post text, image with caption, text as an image with coloured background or a link. Finishing your post, click on the Timing button at the bottom of the screen. Choose a certain day and a time, whenever you would like your post to appear on your Facebook Page. Finally click on the Schedule button and you are set. Your Post will be published exactly that time you have scheduled.